(Русский) Пикор-Лед в предпаводковый период – Ледомер. Георадар. Контрольно-индикационный прибор Пикор-Лед. Официальный сайт ООО "ФПК "ЭСТРА" производителя георадара Пикор. March 18 , 2014 . 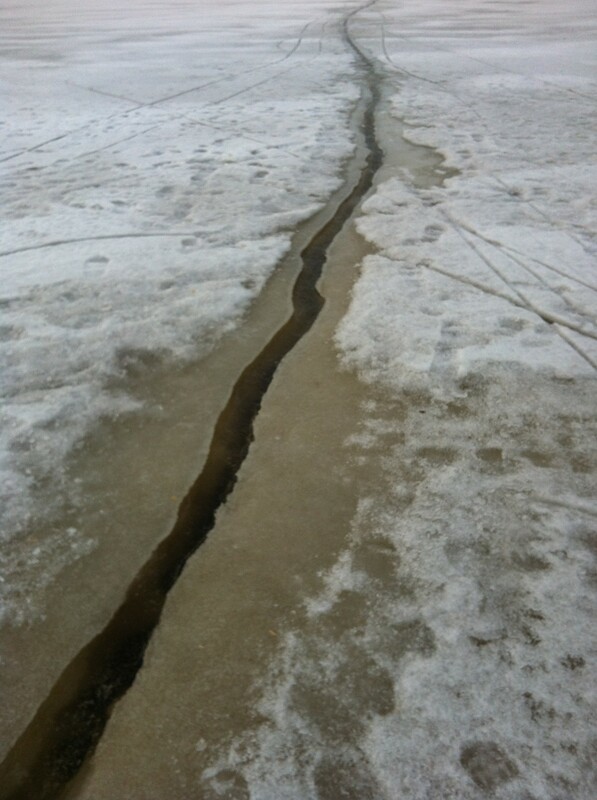 In the city of Kotlas at Arkhangelsk region some events were held to prepare for spring floods . 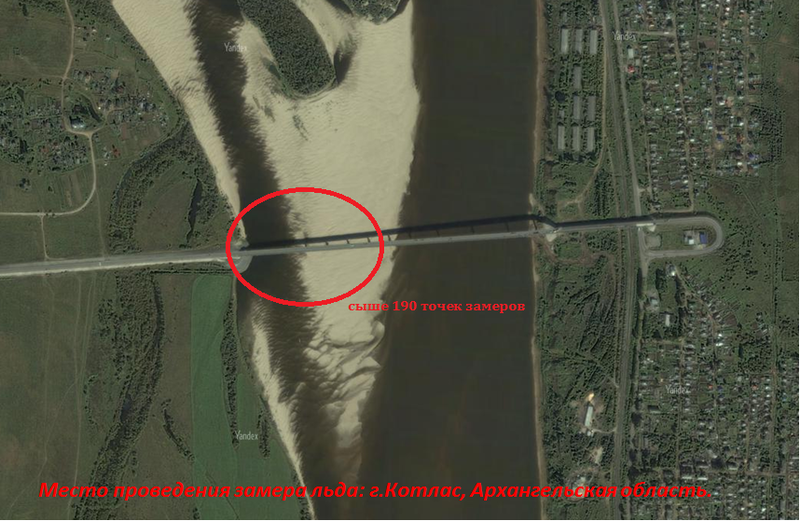 "Aqua- PiRo- Alliance" company conducted works in ice cutting at base foundation of North Dvina river bridge bearings. Technology used was cutting the ice with water pre-heated to high temperatures and transported at high pressure via special hoses. 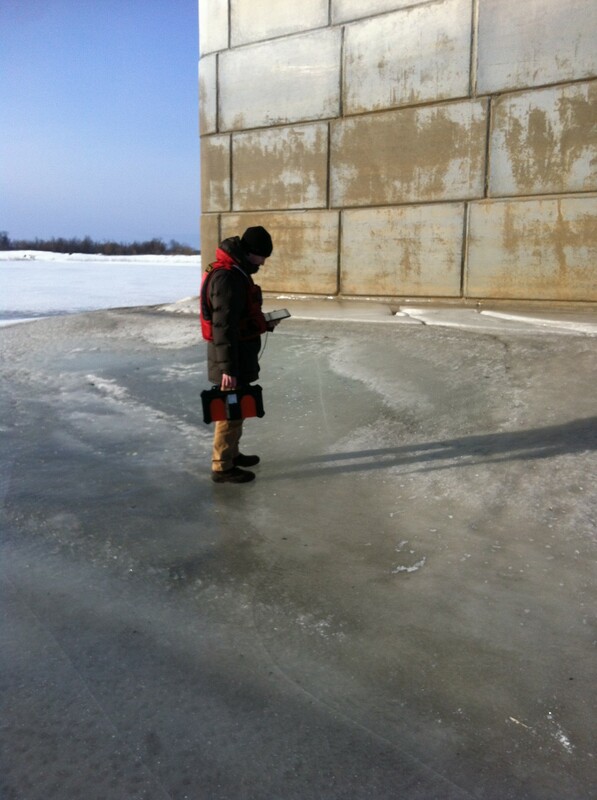 Our device «PicoR –ICE» was used to make ice profiling at bridge bearing to safely cut ice where it is thin or unstable. 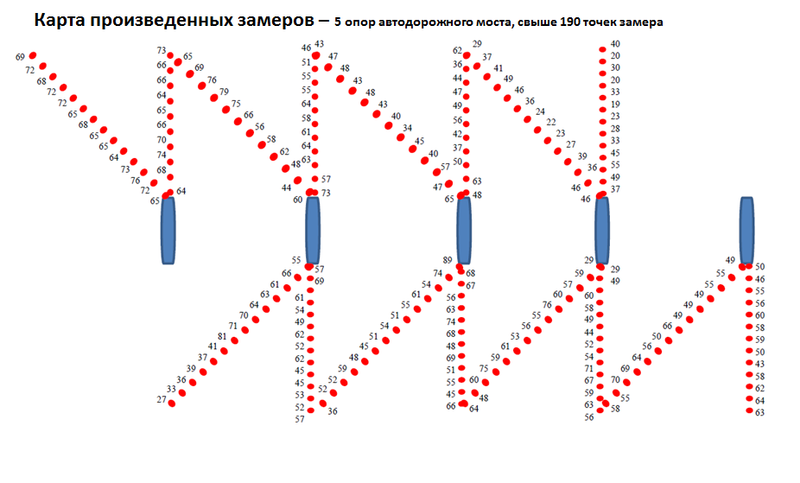 The area of research was covered with movement vectors and control points, after that the operator made measurements. The results that the device interpreted were placed on a map and an optimal movement vector for ice cutting was found. These works emphasize once again the need to use our device at rescue services and meteorological monitoring at prefreshet time when it is important to know how fast the ice thins and to implement its daily monitoring.